time switching to fast (reconnaissance) mode. The normal mode will allow you to better maneuver, which is useful in tight alleys and streets. Is a must on city maps! In this mode, vehicles will reach speeds of 65 to 70 km / h.
Fast mode will increase speed to over 100 km / h. But at this speed there will be a little lack of control that you would normally have. The task of wheeled vehicles is active reconnaissance , which results in a worse view of the battlefield compared to lightly armored tanks. But their task is to be closer to the action so that they can fulfill their task of active reconnaissance . This role in the game uses their high speed and maneuverability and low height. ‹ PreviousTank models: Jagdpanther scalemodel… What is this??? A TANK FOR ANTS!? I cant speak russian so please correct me if i am wrong. 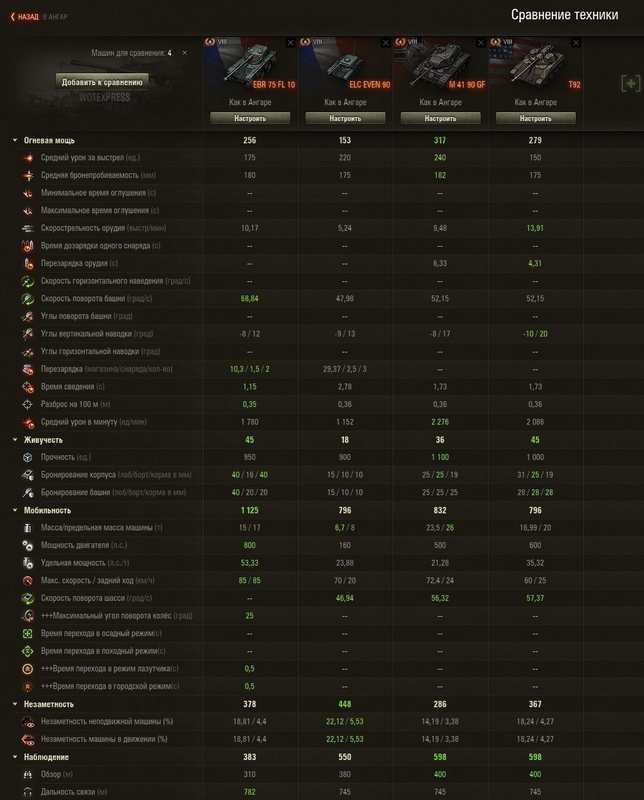 the screenshot shows that the Panhard does NOT have better camouflage rating than regular light tanks. the camo has to be like 25% or more if i am meant to actively scout with 310m view range. Can you even read? I am not complaining because of the view range. But i am convinced that 70-100km/h is not enough to not get hit when you are like 280m close spot the enemy. we will need good camo to not instantly die. With these values, when you are going 80km/h you will be spotted from ~350m distance. then you have to drive another 50-70m to even light up the closest enemy. (if he is not in a bush). you cant survive that. and the 100km/h is useless in this case because you drive frontal into the enemy and need to turn fast to avoid any shot whatsoever. my prediction is that wheeled vehicles will either have better camo or will be super underpowered. Speed, gun and camo! I have seen this somewhere before… but where? WG expects you to yolo in at 80kph and die trying to spot anything. It’s retarded. “But their task is to be closer to the action so that they can fulfill their task of active reconnaissance . This role in the game uses their high speed and maneuverability and low height.” -In other words : Suicide Scouts. Haha! We will have more suicide light tanks (wheeled ones) at the beginning of the battle. Running into the enemy 100 km/h. I for one, welcome our suicide scout overlords. As a scout main I love how these new scouts will vary my options. anyone else noticed how it is being compared to premium scouts? They can’t balance the game as it is, and they want to add a new class of vehicles. Mindbogglingly foolish idea. These things are going to be a plague. They will annoy the heck out of people without adding anything to gameplay. The Frenchies are bad enough: can you imagine the OP paper Russian designs they have ready to drop? I still expect that these will be extremely situational, inflexible, and difficult to use. And what’s more, this is a missed opportunity to bring back the concept of dedicated scouts. Exclusively active-scouting is an incredibly stupid idea. In the current meta, its basically going to be YOLO-rushing and hoping for the best. But if the wheeled lights (and regular lights too, for that matter) actually had a view range advantage, then the situation would be very different.